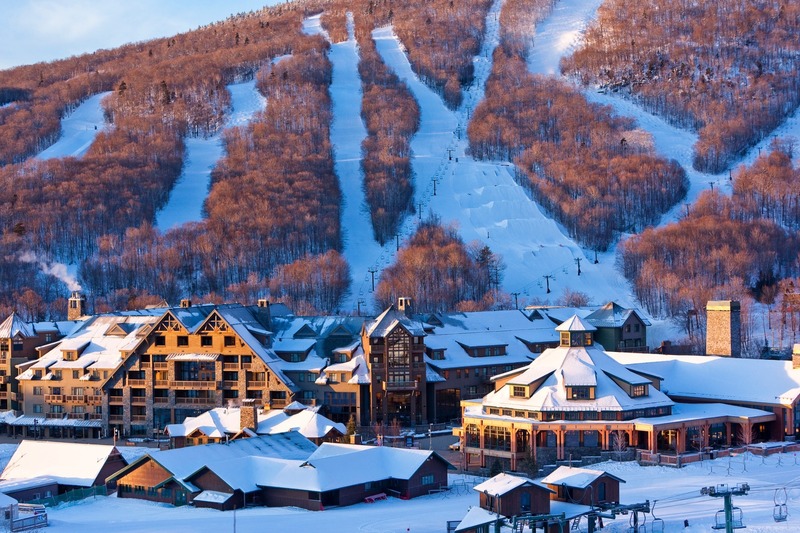 Stowe Mountain Resort is the definition of the luxury Eastern resort, providing quality skiing and riding for all levels of family abilities. The area's lift system includes a gondola that shuttles guests between Mount Mansfield, Vermont's highest peak, and its "sister" mountain, Spruce Peak. This inter-mountain transfer lift provides transportation to and from the slopes at the bases of Mount Mansfield and Spruce Peak, formally linking the two. The Poma ten-person standing gondola spans Vermont’s Route 108. Stowe benefits from its location on Mt. Mansfield with 314 inches of average annual snowfall that falls over it's 2,360 foot vertical drop and 485 acres of skiable terrain. The 116 available trails are serviced by 13 lifts, bringing the hourly uphill capacity to 15,516 passengers. The Stowe Mountain Lodge, located in the base village, is a 312 room luxury hotel and spa that has been recognized as one of the greenest, most sustainable luxury hotels in the world. On-mountain dining and more than 60 restaurants to choose from in town. 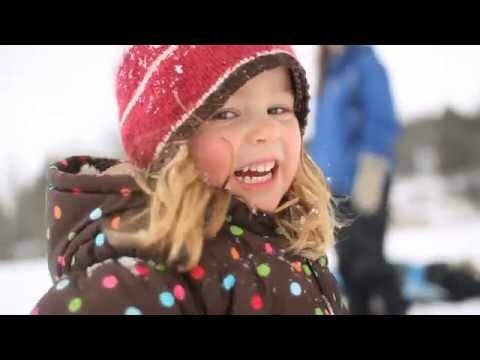 Retail shops, rentals, lessons, childcare from 6 weeks to 6 years, and ski and snowboard school.